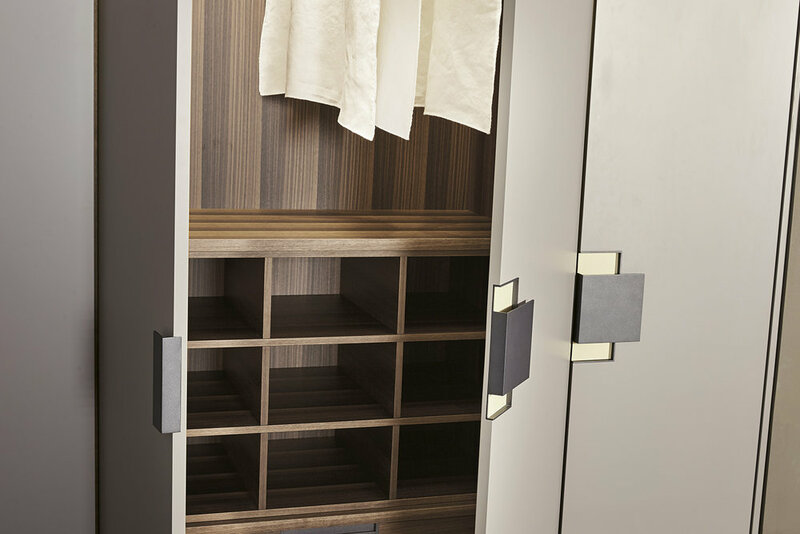 Atlante is a wardrobes’ system which can be used for all kind of projects and made in custom size for every kind of space. Atlante is available with 5 models of hinged doors and 3 models of sliding doors. Hinged door CHARME: an important handle characterized by a metal part in graphite or bronze colour and by a part in leather, hard leather, wood or mat lacquered. Door: mat lacquered in our selected colours, mat by sample, wengè, black walnut, grey oak, smoked oak, natural oak, ash stained beige/grey, eucalyptus or covered in hard or regenerated leather. External sides: mat lacquered in our selected colours, mat by sample, wengè, black walnut, grey oak, smoked oak, natural oak, ash stained beige/grey, eucalyptus or covered in hard or regenerated leather. Internal finish: mat lacquered in our selected colours, dark walnut and with an upcharge all the above-mentioned finishings. 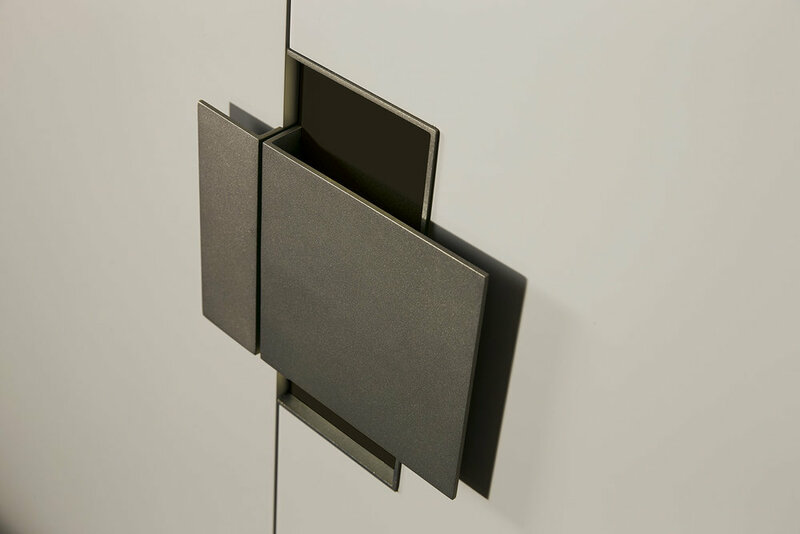 Metal handle in graphite or bronze colour; insert in leather, hard leather, wood or mat lacquered. It is possible to cover the backpanels and the internal fitting with hard leather, leather and nabuk.